Daniel Malone, The Meal of a Diver with Eyes Wide Open (GOOGLE), 2013, mixed-media installation with sound, dimensions variable. Daniel Malone’s show “The Proof Reader/Śledź zmiany” was an insightful study of the mechanisms of translation. Malone has over five years’ experience in editing and proofreading texts for numerous Polish art institutions. 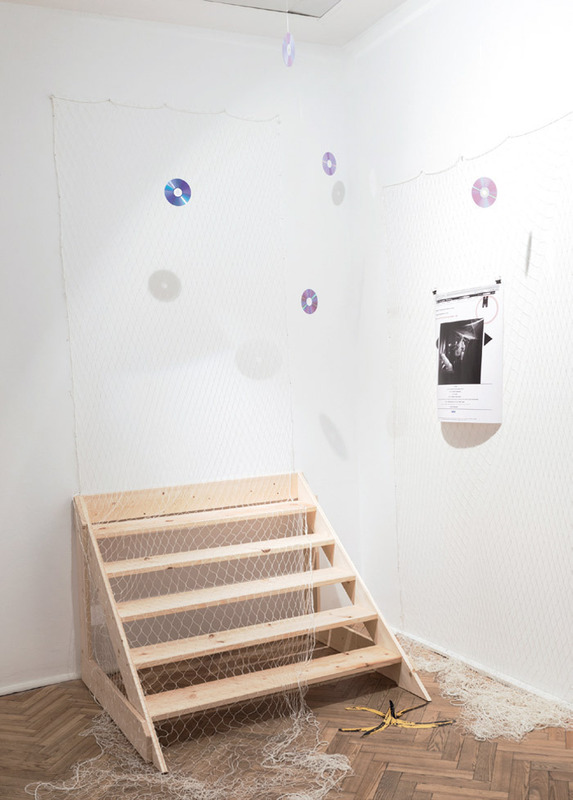 The Polish phrase in his title literally means “Track Changes,” a reference to the ubiquitous digital editing tool he uses for this work, as visualized in Untitled (Pages/Strona), 2013. It is a wordprocessing document mounted on foamcore, tracing Malone’s changes to the English version of a famous text, dokumentacja (documentation), written in September 1971 by Wiesław Borowski and Andrzej Turowski.